Last month, we announced the Silver Wired Stereo Headset featuring 7.1 virtual surround sound, custom audio modes and a retractable boom mic all for $69.99 (MSRP). Today, I am excited to announce that the Silver headset is rolling out to retailers now. 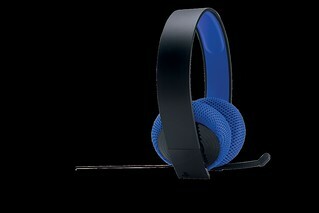 The Silver headset is lightweight with breathable ear cushions for hours of gameplay, a retractable boom mic for voice chat while playing online, and a remote control USB connector that allows you to connect directly to your PS4 to take advantage of the headset’s built-in features, outlined below. 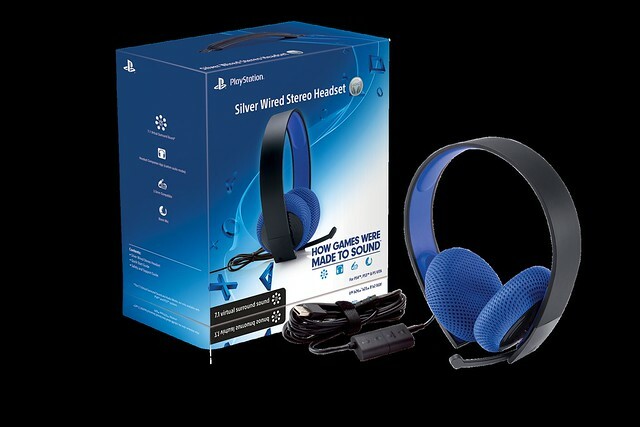 As with all of the official PlayStation headsets, the Silver headset is compatible with PlayStation Vita and many mobile devices with the 3.5mm jack. I’m also thrilled to announce that a Far Cry 4 custom audio mode is on the way for the Silver headset, as well as the Gold and PULSE Elite Wireless headsets via the free Headset Companion App. Additionally, custom audio modes for inFAMOUS Second Son, Watch_Dogs, Destiny and The Last of Us are all on the way for the Silver headset. Pick up the Silver Wired Stereo Headset and stay tuned for more information on developer-created custom audio modes coming to PlayStation headsets. The SRP of the Gold wireless stereo headset is $99.99. It may be available at particular retailers for a limited time promotion at a lower price. It would be cool to be able to remove one of the speakers/cushions to make it a variable headset. I would love a great mono headset to be able to chat and enjoy my home surround sound system. Question: If the headset is plugged into the PS4 controller it’s only stereo and not virtual 7.1 surround…right? That is correct. You need to connect using a wired USB connection directly to the PS4 for getting virtual 7.1 surround sound. This is the preferred way of using the headset. But the headset has a breakaway audio cable with a 3.5mm audio jack that you can connect to the DS4 – in this case it will act as a standard stereo headset. What about my fully functional OFFICIAL Sony usb/bluetooth earpiece. When I’ll be able to use it on my PS4 ? What is the custom audio mode about? These custom audio modes are specific to particular games and have been developed by the Sound designers/engineers that developed the game’s sound. The sound designers create these Equalizer profiles that can be downloaded to the headset, and then the game sound is reproduced in the headset in the best way the sound designers originally intended. @dariocba2014 It’s not crap. The November lineup rocks. Just about all the games are renown for being awesome. Just because they’re indies that you’ve never heard of does not mean they’re crap. Give them a try. The Binding of Isaac is one game I know is amazing. The other games have gotten great reviews, and I personally can’t wait to play them. Eh. They look nice and all, but $70 is a bit steep for a set of headphones. I don’t play online that much anyway, so I’m gonna have to pass. This looks awesome I will look forward to it more if video chat can be implement back for the PS4 like what the PS3 had. The price for the silver headset is a bit high should be place under $50.00 price tag…… will wait for the Platinum headsets that should be between $125.00 – $150.00. This seems like a misstep, or a step back. I haven’t used the Silvers, but judging from the plastic build, on-the-ear pads, and extendable mic (hello, year 2000) I can’t imagine these are a good investment. Plus, it’s wired. Really? Granted, not everyone has the cash to spend on quality headsets, but for 30 dollars more you can pick up the Golds, which are decent, and for a bit more the Pulse Elites, which are great minus the comfort level and battery life. I own both headsets, but recently ponied up for Sony’s new MDR-XB950BT/B Extra Bass Bluetooth Headset. Holy mother of beats are these headsets good! I’ve been using the BT’s with my Vita & Xperia devices, and the sound quality is phenomenal. This brings up a question: when, o’ Sony, will the PS4 be patched to allow a bluetooth headset connection? Consumers have different preferences. I can see that you prefer a wireless headset which is great, and a large number of PS4 owners have that preference. However, many consumers prefer a wired headset with a boom mic. We are listening to this large consumer base and adding products carefully in our portfolio that can satisfy the needs and preferences of a broad user base. Gold and Silver headsets are both great products that offer great sound quality and other features such as custom audio modes, multi-device compatibility – they differ when it comes to industrial design to cater to the needs of difference consumer tastes. Ofcourse, Silver headset is more affordable because it does not include wireless components, and we wanted to pass on those savings to our fans. With regard to PS4 supporting standard bluetooth headsets, I believe we have answered that before. PS4’s bluetooth system architecture is different then PS3 – more simply a standard bluetooth headset connection can interfere with the DS4’s bluetooth connection with PS4, and thus we are not able to have standard bluetooth headset’s work with PS4 at least for the time being. Will Pulse Elite ever get the Destiny sound mode? Also, I’m looking to buy a new headset. I currently plan on getting a Turtle Beach Elite 800 but I love my Pulse Elite and I just know you guys will be releasing a “Platinum” headset. Can’t you guys announce it already so that people like me can make a decision? Yes, we are still working on the Destiny sound mode for Pulse Elite headsets. Sorry for the delay on this, but we intend to let everyone know as soon as it is ready for release. what would be absolutely AWESOME, is if i could use my playstation-branded bluetooth headset that worked just fine with my PS3, with my PS4…..
it’d be GREAT, if you guys didn’t gimp the PS4’s functionality, to try and force us to buy stuff we really don’t or shouldn’t need. Sorry, but it’s not as simple as that. Look at my response to comment #14 above. How would you compare these with the Pulse Elite? is this a time when I should buy a second set rather than move my P.E. from PS3 and PS4? I believe Pulse-elite, Gold and Silver are all really good headsets that work with both PS4 and PS3. They offer different features and design elements at their specific price points. It’s hard to compare them and it depends more on your preference. 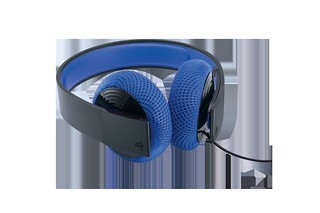 Please look at our website to learn more about these headsets. This comment was meant as a response to comment #17. Seiven, hope you see it. 1) Do these work with the PS3 as well? The post says nothing about it. 2) I have been waiting for this to come out. It gets tiring having to charge the Pulse Elite so much and kinda defeats the purpose when I have to have a wireless controller connected so much. I am disappointed about the boom mic though. Kinda liked the hidden mic in the earpiece. Yes, the Silver, Gold and Pulse-Elite work with both PS4 and PS3. It’s great that you were looking for a wired headset – I can tell you that many consumers had asked for this and hence we created this product. Many of the same consumers had also asked for a boom mic, because they believe that a boom mic will pick up their voice clearly. Anand, thanks for the thoughtful reply (#14). Your points are well taken. I didn’t mean to slight the Silver headset so directly as I’m sure it delivers a quality experience and there is a market for more affordable, Playstation branded 7.1 virtual surround options. I just love premium Sony products (even if my savings account doesn’t): love the new Sony MDR-XB950BT/B Extra Bass Bluetooth headset, love my Xperia Z3 Compact smartphone, and love my Xperia Z2 Tablet. I also love my PS4, PS3, PS Vita and Bravia TV. As you can see I’m heavily invested in the Sony ecosystem, and doing my part to spread the word on all the fantastic products Sony has released in 2014. I think greater integration between all Sony products/software is the way forward. The remote play capability of the Xperia Z3 line is a step in the right direction (even if my Vita is getting jealous), along with the companion Android/IOS apps and the improved Web Store. Long Live Sony! The one and only! You have made my day! Have a great Halloween. Any chance that we get a Shadows of Mordor audio mode? Can’t find an answer in the posting, so, how long is the USB cable? Hopefully a solid 6-10′. Sony packed in a rather short Micro-USB cable for the DS4, so it worries me that this cord won’t have enough slack. This is a wired product and the cable is meant to be long enough so that your can run it from your couch to your PS4 across your living room. The entire cord is a solid 13 to 14 feet long, if you include the length (3 feet) of the audio cable that comes attached to the headset. So when can we get the Destiny audio mode for the Pulse Elite? Been over a month already and still nothing. Oooo, you’re the guy to talk to. Please, for the love of all that’s Holy, bring the official Sony PS4 controller charger to the U.S.A. Me wants it for sooooo long, my precious! Sony I love you guys but you really need to start looking into Premium Products instead of these bargin bin headsets. Just like the Gold Headset.. THIS DOES NOT OFFER TRUE NATIVE DOLBY DIGITAL 5.1 SOUND! I really wish you guys would consider those of us gamers who know the importance of Dolby Digital 5.1 and don’t mind paying for premium products when it comes to our hobbies. This is a proprietary Virtual Surround Sound that just doesn’t measure up to any headset that uses Native DD 5.1 through an optical cable. You don’t need to be an audiophile to understand this because the average joe can easily put on any other pair of headsets and see the huge difference in directional audio sounds. I love the fact that Sony is at least giving us some 1st party products but I’m sorry, anything that isn’t Native DD through an optical cable (Simulated through headsets or not) just doesn’t cut it for me. I’ll be sticking to my Astro A50’s instead. As an Audiophile myself I am very impressed with these headphones SONY has put out for the PS4, they perform very well, and are a steal of a deal. P.S. More audio modes needed. Well a cheap audio set that is going to be $69.99. Another way that the $99.99 headset that I got works (and it is wireless too). Quick question: Will the Far Cry 4 custom audio mode be available on the gold and pulse too? And will there be a custom audio mode for Far Cry 3 (maybe 2 and the remastered edition of Far Cry)? Yes, the Far Cry 4 audio modes will also be available for Gold and Pulse-Elite headsets. – Does the virtual surround sound still work only with games, just like the previous headsets, and not with Blu-ray movies and other sources? – There’s a long cable with USB connector ending in the little controller box (with volume/balance/mute/3.5mm jack). Then another cable with 3.5mm plug connecting to the headset. Is this 3.5mm audio cable permanently attached to the headset or is that detachable at the headset side (I know it’s detachable at the little controller box side)? – Can other earphones/headsets be plugged into the 3.5mm jack on the little controller box, presumably in plain stereo mode and not virtual surround? Can the Pulse Elite be plugged into the 3.5mm jack on the little controller box and still get virtual surround? Regarding sound quality, they all sound great compared to what you expect from a headset for that price point. The 3.5mm audio cable is premanently attached to the headset. Too bad the headset came out a little late. I would of bought with my PS4. It’s going to be the next one I buy for sure! I love the idea of 7.1 experience and the feature game equalizer . I’ve always liked silver over gold. lol Gold tends to look tacky to me and be over priced. This silver head set seems to follow suit. Do you know if the DriveClub audio team is working on a Custom Audio Mode for the Gold Wireless headsets? I enjoy the rich car sound’s and I know they put allot of effort into the sound’s of the car’s. So I’m wondering if there is one being made and if not can the team work on one for the game. Obviously there busy working on the server issue’s right now I just wanted to know. Thanks. I just wanted to say I’m really impressed with your answers to each persons questions and how detailed each response has been. I’m interested in picking up one of these and I’m really happy to see such an insightful response. So…. when are we gonna hear about the PlayStation Platinum headsets that levitate? Idk if its me but the headset companion app is not supporting my Playstation Silver Wired Headset. Headset companion app doesn’t support my Silver Wired Headset, either. I picked mine up yesterday. So far, so good. You’ll need to wait for the companion app to be updated. They need to not only update the app to recognize the headset, but create the Silver compatible audio modes as well. It’ll probably go live on Tuesday. I’ve been rocking a pair of Pulse Elites since they came out in 2012 and have been extremely happy with them, aside from the six hour battery life. Very happy to see the Destiny audio mode is still coming for this headset. Was very disappointed when the game launched and the mode wasn’t available. However, I’ve got a cheap wired headset I’ve been using off and on for longer gaming sessions, so when you announced this Silver headset, it caught my attention. I may just replace my other wired set with this one, as I like the idea of still getting the 7.1 VSS. And I love how long the cable is, so I don’t have to worry about the distance from my system. Good work. Is this headset also coming to EU? It would be realy great because i am looking for a new headset because my Pulse headset starts to break a little. I see the Response to my question of when the Wireless Pulse Elites will be getting the Destiny Audio Settings, but I’d like to point something out. I waited patiently for Sony to announce which Wireless Headsets would work with the Ps4, and no Surprise They only let Their products work, with the Wireless Pulse Elite. So I get the GTA V Pulse Elites (WITH GRAND THEFT AUTO V AUDIO MODE WHICH I ASSUME THE NON GTA V WIRELESS PULSE ELITES DON’T HAVE. I’D LIKE TO KNOW IF ALL THE PULSES/ELITES GET THIS, IF NOT, START RIOT NOW). So I get them during Black Friday last year, and a month goes by and Sony announces an Inferior Product with the “Gold’s”. I get Their trying to make money, but when You say to get Elites for Wireless Ps4 Headsets and not mention New “Gold” Headsets 3 months out, at least Update the Quality Product before the Inferior one, I don’t see Sony working on Ps2 firmware, right? I’m no Scientist nor have the Gold Headset, But My Headset App Only lets me load up one setting for the Gold, while I can load up 5 or 6 on my Pulse Elites. I noticed that the custom mode sliders for the bass in the app for the gold wireless don’t follow a linear pattern, namely the highest bass setting is not at the top end of the slider, but one notch below, and when the slider is on top, it has less bass. Tested on BF4’s test range. It should be looked at and fixed.